Our programs provide a wonderful synagogue venue for Jewish singles in the greater Toronto area to meet socially, have a sense of community, and make and maintain friendships while enjoying a variety of great programs at reasonable costs. Our well attended programs include: dances with a professional D.J. or live entertainers, concerts, speakers, and Oneg Shabbats. We welcome any creative ideas for programs you would like to see. While programming is a primary function, creating and maintaining a sense of friendship among the singles at Beth David are also on-going goals. The committee welcomes participation of the single members of the synagogue, as well as the Jewish community at large. Members of the committee include widows, widowers, divorced and never-marrieds. Committee members jointly initiate, implement, publicize, and host events, and do so in a welcoming and caring environment. We are a working committee with a commitment to being involved and having fun. The committee meets once or twice a month prior to each program; we usually offer five to six programs per year. As well, the committee enjoys celebratory dinners together occasionally. 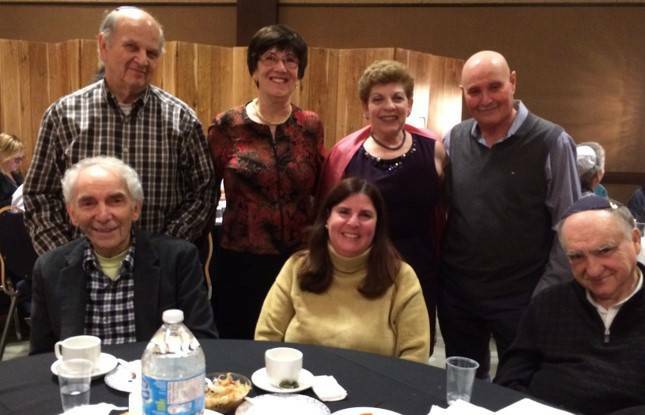 If you would like more information about joining the committee or about our upcoming events, please contact us at 416-633-5500 ext 52 or at singles50plus@bethdavid.com. To see the full calendar of Beth David Singles50Plus Events, click here.